With Google stopping auto-play Flash ads Chrome Blocks Flash Ads, Minecraft Makes You Sad... [Tech News Digest] Chrome Blocks Flash Ads, Minecraft Makes You Sad... [Tech News Digest] Chrome battles Flash, Notch hates being rich, Netflix becomes less Epix, T-Mobile limits your data, and Star Stuff explores the early life of Carl Sagan. Read More this year, it won’t be long before the rest of the Internet starts turning it’s back on all things Flash. It may be time to download all of your favorite flash games before they all go away! It didn’t start with ads either. Facebook executive Alex Stamos called for Adobe to put an end to Flash earlier this year. Only days later Mozilla blocked old versions of Flash in Firefox, as did Google in Chrome. With the death knell tolling for Flash How to Stop Flash From Loading Automatically With FlashControl [Chrome] How to Stop Flash From Loading Automatically With FlashControl [Chrome] You can easily disable Flash in Chrome. But FlashControl gives you more hands-on control. FlashControl is a Chrome extension that uses blacklists and whitelists for selectively blocking and unblocking Flash content. As the extensions defines... Read More , all of its content across the Internet is doomed. 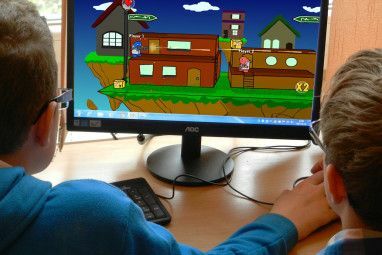 If you’re a fan of Flash games 4 Ways To Improve The Performance Of Flash Games 4 Ways To Improve The Performance Of Flash Games When it comes to casual gaming, Flash may be the very best platform to play on. The Flash client has one distinct advantage over alternatives, and that's the fact that it can be played within... Read More , you can be sure those will gradually start disappearing as well. So how do you get your gaming fix? Have no fear! Use the instructions in this article to download all of your favorite Flash games to your own computer. If you’ve bookmarked your favorite flash games MUO Games - The Best Websites to Play Flash Games MUO Games - The Best Websites to Play Flash Games Read More , you’ll need to visit all of those game pages to download them How To Download Flash Games For Offline Play How To Download Flash Games For Offline Play Flash games can be awesome – they’re all over the web, free to play, and easy to dive into. Flash games run the spectrum from fun, casual time wasters to indie gems created by developers... Read More one at a time. Don’t worry though, the process is quick and painless. I’ll even give you a list of the highest-quality, best flash games at the end of this article to download using this process. For the process below, I’ll be downloading Super Mario 63 from Runouw.com. Once you open the page where your game is hosted, wait for the Flash game to fully load. Then, right click and choose View Page Source. On the source page (where you see all of the HTML code), press Ctrl-F to search, and type “.swf”. What you’re looking for is the SWF file for the game itself. Ignore things like Flash install files “expressInstall.swf”. You’re looking for an SWF file usually named like the game itself, and usually inside an iFrame. In this case it’s “sm63game.swf”. I’ll show you that link below, but before we get to downloading the file, there is something important to keep in mind. Not all websites host the actual SWF file. You’ll notice this on certain sites, when you search for “swf” and it turns up nothing. If you haven’t been playing the game on the original site where it was hosted, it can sometimes become a detective chore to track it down. Luckily, in most cases, the game hosting website inserted the link to their originating website right inside the game itself, usually on the startup page. 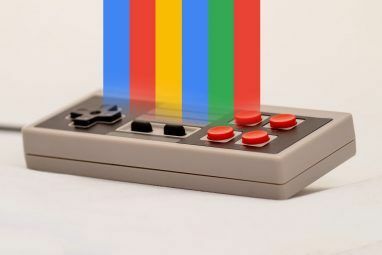 Another thing that often works is when you’re inside the game itself, the game designer usually provides a link to their website when you right-click. You can often find the original game at the designer’s website. The same guide applies as above. Find the game page where you can load the game in your browser, right click on the web page and choose View Page Source, and then search for “.swf”. Usually you’ll find the link to the SWF file itself inside of the “flash container” code. Don’t worry if it’s not a full URL. It may just show up as a blue link in the code display. Just right click on the file name and choose Save link as… from the dropdown menu. This will allow you to download the file. Make sure the “Save as type” is set to Shockwave Flash Object. I also created a new folder called “Flash Games” where I’ve stored the dozen or so games that I wanted to keep before they disappear! By the way, if no matter what you try, you can’t find the .swf file in the code, there’s always the last resort – go on over to File2hd.com, paste the link to where the game is hosted, and you’ll find the SWF file in the list. Just right click the SWF file, click Save Link As…, and save it as a Shockwave Flash Object to your PC. That’s all there is to it. Once you’re through visiting all of your favorite sites and downloading the files, you should have a nice collection of games on your computer to play any time you want to! 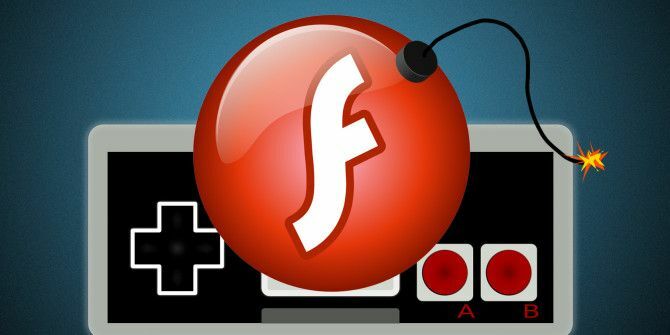 Now, seeing as there’s so much hype around security issues with Flash, the last thing you want to do is go and download Flash on your PC 4 Ways To Improve The Performance Of Flash Games 4 Ways To Improve The Performance Of Flash Games When it comes to casual gaming, Flash may be the very best platform to play on. 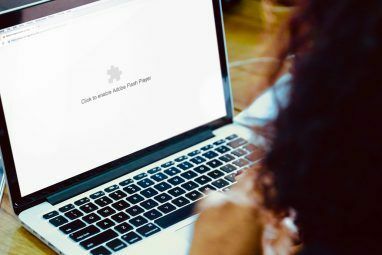 The Flash client has one distinct advantage over alternatives, and that's the fact that it can be played within... Read More , right? No worries. You can actually open SWF files with a lot of apps out there. And if you’re running a Windows computer, then you’ve got Windows Media Player, which has no problem opening and running these files. Choose Media Player from the list, or if it’s not there, choose More Options. Here, you should see Windows Media Player on the list. That’s all there is to it! Here’s Super Mario 63 running locally on my Windows computer. The cool thing about running it in Windows Media Player is that you can maximize it and play the game in full-screen, even if you couldn’t do so when it was embedded in the web page online. It sometimes really enhances the game experience when you can fill up the entire screen when you play. Give it a shot! If you want a few Flash Games (that are actually) to download right now How To Download and Play Flash Games Offline How To Download and Play Flash Games Offline Read More , without having to sleuth your way to the original, I’ve done the leg work for you! Here are 7 really fun flash games you can download now, off the original URL links provided below. I hate low-quality Flash games, so I’ve only chosen the very best flash games for this list. RoboKill 2 is an overhead 3rd person shooter from Rock Solid Arcade, where you’re exploring a mine facility and wiping out the hostile alien forces that have infiltrated the place. With a bit of RPG plot thrown in, this game is actually a lot of fun to play. Dogfight 2 is another game from Rock Solid Arcade. It’s of high-quality, great sound effects and an awesome soundtrack. In this game you’re basically the Red Baron, taking out allied craft and ground weapons. It’s a highly addictive game, so consider yourself warned! Decision 2 from Armor Games is a fun Arcade style overhead first person shooter where you’re one of the only humans in a post-apocalyptic zombie nightmare world. Everything is dark, red and creepy. It’s tempting to just unload all your ammo to avoid getting eaten, but this game is best played with cool nerves and careful aim (and late at night). Kingdom Rush Frontiers is another one from Armor Games. If you like tower defense games, you’ll love this one. Build defensive positions – archers, soldiers and more – to keep the incoming hordes away. Warfare 1917 is another Armor Games creation, based in – you guessed it – 1917. You can choose between the German or British side in the war, and take part in trench warfare. You build and deploy units as fast as you can to take ground and overwhelm the enemy. The beginning is a bit slow, with just ground troops, but the game gets more exciting as you get more advanced weaponry. Super House of the Dead Ninjas over at Y8Space is the kind of arcade style game, with retro sounds and graphics, that you think is going to be lame when you first start it. But with crazy malee powers, bombs and other tactics, this fast paced game 3 Flash Games To Help Improve Your Reflexes In The Browser [MUO Gaming] 3 Flash Games To Help Improve Your Reflexes In The Browser [MUO Gaming] Honing your skills with peripherals like the mouse or keyboard and sharpening your reflexes is something that can help you in general. Games that require no knowledge or game sense and rely completely on skill... Read More becomes highly addictive. Stick Arena from xgenstudios is a really fun multiplayer arena game to play with friends (or really, anyone who happens to drop in.) You know how in the movie The Purge, any weapon can be used, and any person is fair game? Well that’s what this game is all about, so choose your weapon wisely! As you can see just from the few Flash games listed here, these aren’t cheesy and they aren’t lame. Flash games have had a bad rep for a long time, and with recent security changes, they’re likely to disappear forever. If you’re a casual gamer who got hooked on these and other Flash games Top 5: Addictive and Challenging Web Games Top 5: Addictive and Challenging Web Games Read More , make sure to download them all today to your computer so you can play them long after they disappear from the Internet. Are you a casual gamer? Do you love playing Flash games for a quick and easy gaming session? Are you planning to download your own collection of Flash games? Share your favorites in the comments section so other players can download them too! Assassin’s Creed Unity Is Free on PC (Temporarily)Fallout 4 Is Almost Here: Start Planning Your Character Now! This idea of getting rid of Flash is completely asinine. It's like getting rid of HTTP or FTP - which you lunatics have been talking about for years. Google's pushing for things that are unreasonable and unfeasible; unless of course you use Google products. I say no. I don't support 'the web by Google'; just like I didn't support Microsoft or Netscape. I use SeaMonkey whenever I have a choice, my preferred search engine is DuckDuckGo, though I often search Wikipedia directly. If I knew of another browser like the way Opera used to be - i.e. with its own independent rendering engine, developed without 'open-source' Google tech, I'd be using it now. Leave Flash alone. Stop this nonsense. And while you're at it, let the Internet get back to doing what it was meant to do - transfer educational text between people who actually can benefit from it. You can also get the Flash Player projector (standalone .SWF player) from the Adobe website. It doesn't require any installation, and it's a standalone executable.